THC Bomb Auto comes from its mother plant, THC Bomb, that has been crossed with Auto Bomb to give growers the auto version they’re looking for. Growers and users alike will still get that strong skunk smell that hits the nose as soon as it’s lit, and the same can be found in the taste as well. 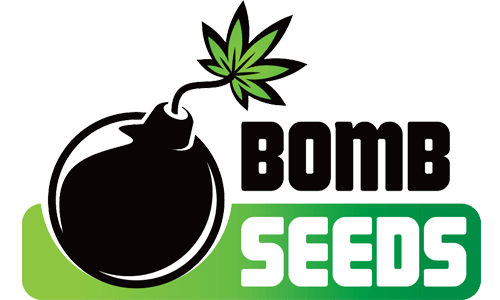 Bomb Seeds are the seed bank responsible for the legendary THC Bomb, a strain so good at just about everything that it can now be found in most corners of the globe. 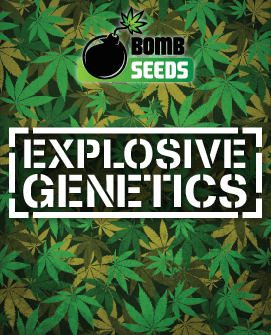 Not content to rest on their laurels, however, Bomb Seeds decided to push the boat out once again by breeding THC Bomb with Auto Bomb to create THC Bomb Auto. The result was an all-female autoflowering edition of the original which retained the same mind-blowing qualities and added even more. 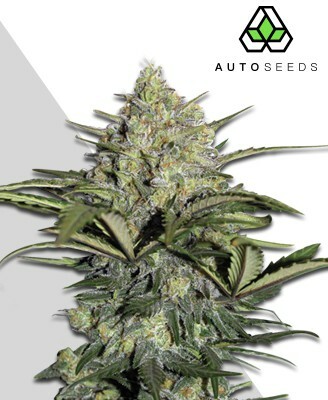 THC Bomb Auto is far from your typical autoflowerer, taking the best of both of its parents to offer the kind of genetics that outperform even many regular strains. Any knowledgeable grower will be surprised to see the qualities that THC Bomb Auto offers, making the full harvest and rich smoking experience it provides all the more satisfying. With its mix of indica and sativa genetics, THC Bomb offers a complex smoking experience that is amplified through its monstrous 18-22% THC level. Preconceptions that ruderalis genetics in a plant will water down the high are shot through as the full-body buzz of THC Bomb takes hold. Packing the strength of a mule kick, this is one of the most powerful and fast-acting autoflowering strains available. The initial effects are a deep and calming stone that wraps its way around every part of your body, sinking you deeper into a smooth physical state of tranquillity. This is closely accompanied by the sativa part of the strain, a stimulating and uplifting euphoric sensation that keeps you clear-headed and attentive. Taken altogether these effects make it perfect for use at night when you can sit back, clear your mind, and enjoy a vibrant piece of music or visually impressive film. Even medicinally it can be helpful, being used to treat anxiety, stress and pain relief. This makes it especially useful after a long day, working its magic to rid you of any tension and lull you into a deep sleep at the end of the night. 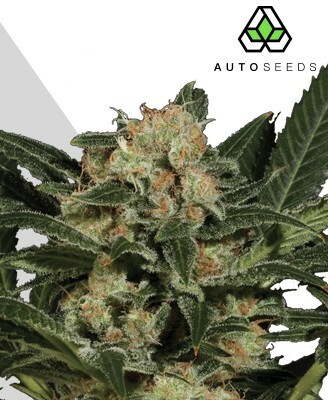 Much like its strength, the yield of THC Bomb Auto likewise offers far in excess of anything you may have been led to believe an autoflowerer can provide. 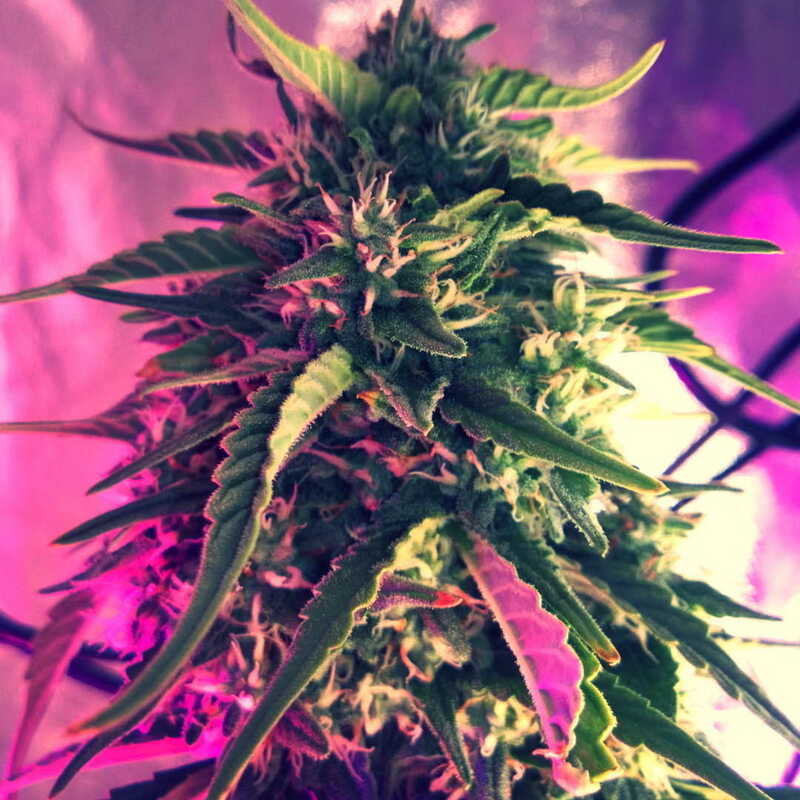 Combine this with its tough genes that make the growing process a breeze and you have a strain that is ideal for commercial growth as well as for beginners to try out. Harvests may average around 400-450g per m2, but a well-attended plant grown under the right conditions may yield as much as 550g per m2. 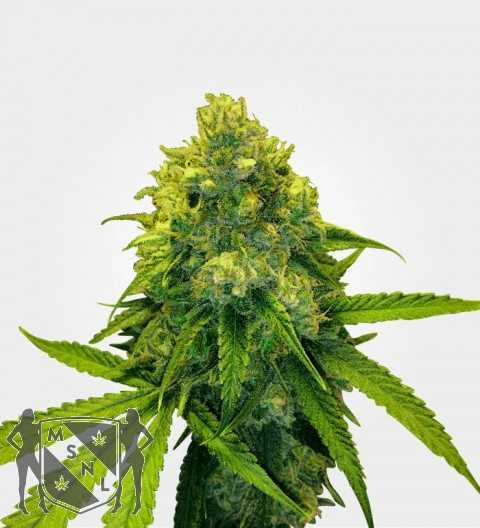 This tough strain is no headache to grow, sporting the kind of hardy genetics that allow THC Bomb to flourish through any number of rookie mistakes or inattentiveness. She isn’t invincible though, and good care will see the plant not only survive but thrive and reward you with a better harvest. Indoor growth will see THC Bomb primed for the Sea of Green (SoG) or Screen of Green (SCRoG) growing methods due to its branching. The plant will reach anywhere between 60cm-120cm and should be fully flowered in 65 days from seed. THC Bomb Auto will branch well as it grows too, developing many bud sites that help give the plant its characteristic bushiness as it flowers. A hydroponic setup will allow the plant to thrive, although other methods also work well. 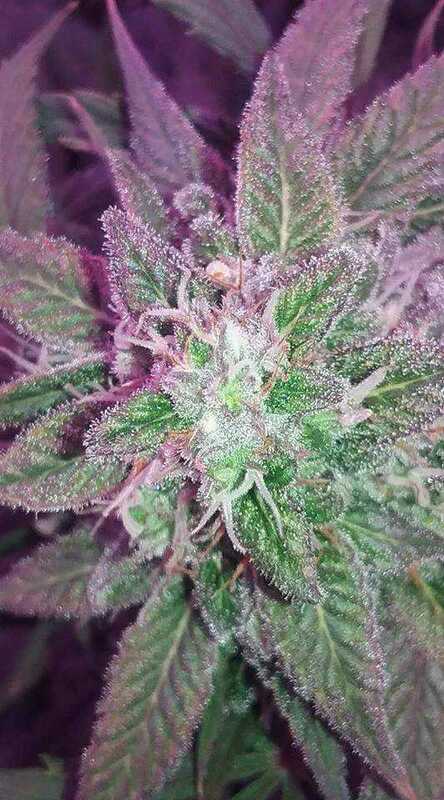 Outdoor growing is a viable option for THC Bomb Auto. 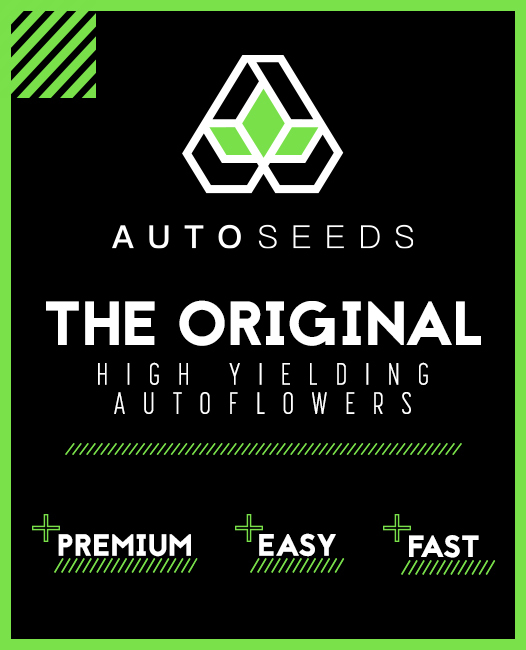 Its mould resistant genetics and toughness make it a lot better suited for the outdoors than more delicate strains, and as long as you wait until the frost has passed you should have few problems. This even makes it viable for growth in cooler northern climates, and you can expect your harvest anywhere between May and October. THC Bomb Auto has taken much from its original mother and this is reflected in the taste – a rich and potent skunky flavour with notes of earthiness. Adding a complex and enticing finish are the hints of fruit that are detectable to more refined palettes. This is one pumped up autoflower strain, producing the kind of dense and hard rocky bud that you may not think possible. To make it even better THC Bomb Auto nugs are saturated with surprisingly rich levels of resin. Much like the taste, the aroma of THC Bomb Auto is close to its mother strain, packing the kind of earthy scent that will satisfy skunk fans everywhere. This too is finished off with a subtle hint of fruit that makes it as appetising as it is satisfying. Truly an exception to the rule, THC Bomb Auto is higher yielding, better tasting and stronger than your typical autoflowering varieties. 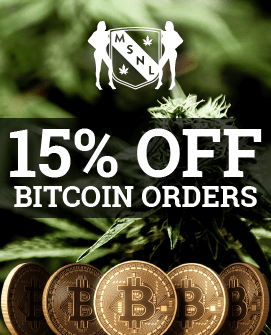 It is the kind of strain that asks for very little and offers plenty, giving masses of potent easy-growing bud in exchange for even minimal input. We cannot recommend THC Bomb Auto highly enough, and we’re confident that regardless of your level of experience or growing ability you will be happy with the ease of growth, THC strength, and generous yields on offer here.